Adult coloring books and planners. Awesome artists, I have noticed the trend of adult coloring books and planners sky-rocketing. I was wondering why that is, and thought about people’s search for something fun and gentle to add to their life. In this stressful world we look for something that has meaning and a calming influence. It brings us back to our childhood when the world was full of wonder and color. I remember when I was a kid I was into paper dolls and beautiful bookmarks, Victorian roses and kids in vintage clothing mostly. I loved them for their intricate detail and elegance. My best friend and I used to take a composition book and fold the pages in half. In some of the folds we put bookmarks we wanted to trade. We would each take a turn to pick one of the folded pages. It was always an adventure to see what bookmark I would get. This was an ongoing thing. I treasured my folded paper book and would look inside often and change out the bookmarks. That was the old style “planner” for me. I recognize the same wonder and excitement in ladies who buy their planners and all the accessories to create their very own version of planner. There are stickers, embossed labels, special pens, lists, pockets, sayings, and pictures to add. It is guided creativity. 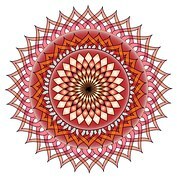 Mandalas are big too. 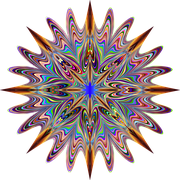 Many of the coloring books are nothing but mandalas. Mandalas are like snowflakes, each unique. Some are so beautiful they take my breath away. I think planners and art play books help us to heal and explore our own creativity. The time has come to be more of who you are. I think there is a strong inner urge for creativity as a unique expression and method for growth. We grow through creativity and it is a GREAT thing! I have a planner, but it’s not the artsy kind. I have to write everything down to remember stuff, but there is space to journal if I feel so inclined. I have at least three journals going right now. One is for business, one for personal stuff, and one for communication with my guides. The journals all have their place, and I start every morning journaling while having my tea. I sit outside in my backyard, partially to keep an eye on my kitty who gets to go outside one hour in the morning. I find so many things to be grateful for, and I write those down. I write down my intentions and needs. Ideas sometimes find their way onto the page. It’s a great way to start the day. How do you start yours? P.S. I have some handmade low-cost art journals for sale in my etsy shop. CLICK HERE.